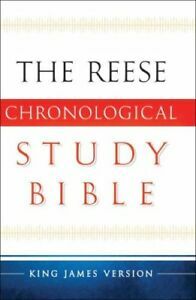 Classic KJV Chronological Bible Now Redesigned with In-Depth Study Notes With over 200,000 copies sold, the Reese Chronological Bible is the trusted text for those reading through the King James Version in historical order. 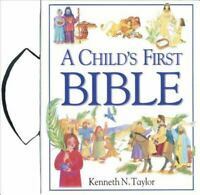 Now this classic Bible has a fully redesigned two-color interior packed full of in-depth study materials, including: - detailed timelines - geographical and archeological notes that help verify Scripture accounts - cultural and historical notes that shed light on biblical contexts - explanations of difficult passages and words - ages and genealogies of key figures - translations of weights and measurements to today's usage - 365-day reading plan Arranged in chronological sections, this easy-to-use volume will help you understand the Bible, its story--and its significance to us today--even better. great seller, I would buy from them again, thank you. This Bible has some interesting study notes in it. I love the chronological order. It tells stories in the order they happened. Just got it but already enjoying it.